I’ve been studying prisons in some way, shape, or form since my undergraduate days in the late 1990s. Prisons always fascinated me. They just seemed like such a peculiar institution. Laws. Rules. Punishing rule breakers. I get it. It’s all part of society. But slowly, the more I studied prisons, the more I realized things weren’t what I saw on television. Cops and district attorneys aren’t always the good guys. Sometimes the guy who gets thrown in jail isn’t always a law breaker. I hope you find this blog interesting. I hope it grows and grows. I hope you even contribute to it one day. After receiving my law degree and then my PhD in history, I have seen the study of the law and prisons from both sides. I’ve seen it from the practitioners’ side and I’ve seen it from the academics’ perspective. I’ve studied everything from the modern death penalty to federal court prison reform. In August, I am beginning a position as assistant professor at Winona State University in Winona, Minnesota, focusing on US Legal and Constitutional History. I hope to continue my studies there and share them with you. Maybe together, we can look at the past and then examine the present. Hopefully we can begin answering some questions. Why does the United States have the highest incarceration rate of any nation in the world? Why do states in the US South, which have the highest crime rates in all of the nation, have the most incarcerated citizens? Something’s wrong with this situation. We can only begin to fix it by looking at our past. Where does your state fit in this scenario? 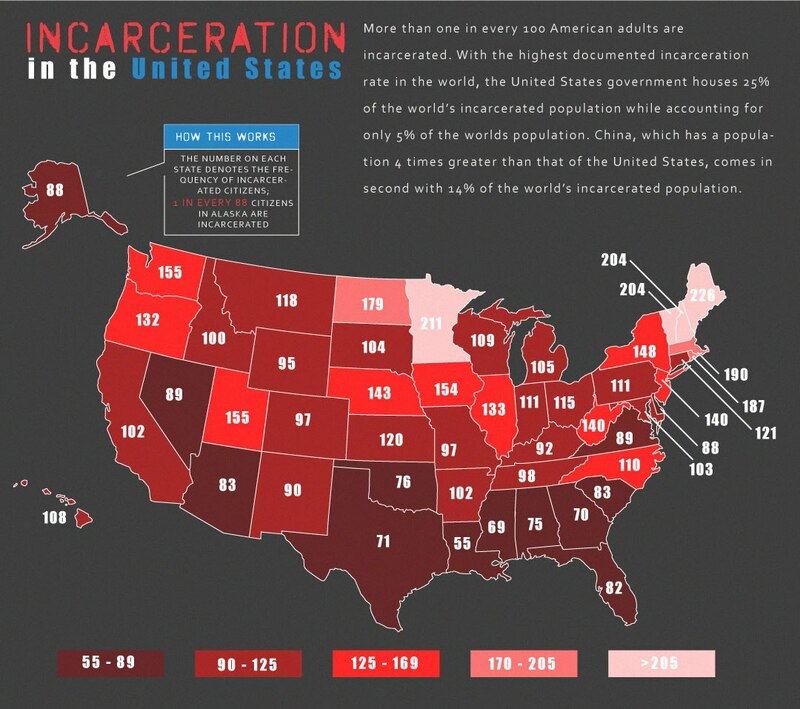 How many people does your state incarcerate? This entry was posted in Incarceration Rates and tagged carceral state, history, incarceration, incarceration rates, prison, prison history on May 9, 2013 by Gregory.